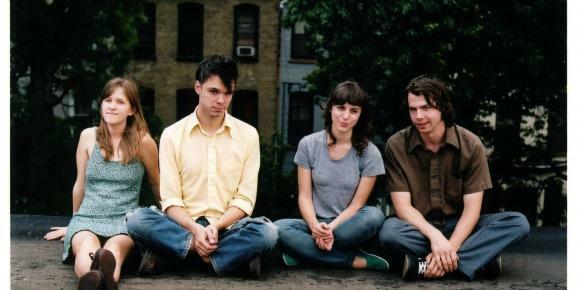 You know we super-liked the Dirty Projectors album Swing Lo Magellan, and you've since been forewarned about their upcoming EP, About To Die, set to be released on 11/6. Well, here's one of the four tracks, "While You're Here." About the song, the band's lead-singer David Longstreth tweeted Tuesday, "Hey, here's a song I wrote on the day of Gerard Smith's wake in BK 2 summer ago. This song is for him. Miss u Gerry!" Gerard Smith is the former bassist of TV on the Radio, who passed away in April of 2011. "While You're Here" itself plays like a beautiful ode with sweeping string arrangments and poignant lyrics from Longstreth like, "There he is, saying, 'While you are here you are alive.'" It's a good one, guys. Take a listen below.